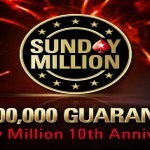 The 10 th anniversary of $215 No Limit Hold’em Sunday Million with $10 Million Guaranteed prize attracted hugh number of players i.e. 55,059 from around the world, but it was Canadian a.urli, takes the pride and won the championship title for $970,000. 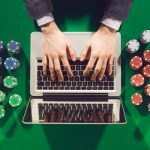 You know that Sunday Million is one of the most popular and best played weekly poker games at the internet since its beginning before a decade. a.Urli defeated mladenova62 of Bulgaria who took home $650,000. 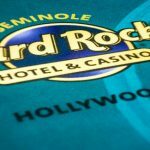 As mentioned earlier the tournament attracted 55059 entries and generated a top prize pool of amount $11,011,800 (third largest since Sunday Million started) and bested $10 Million Guaranteed. 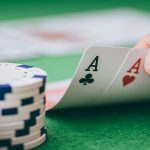 Out of 55059 players 8,208 places were paid. The field was simply enormous, it was hugh and that is why it took more than 15 hours to decide that Canadian a.urli is the winner of the game. He played incredibly well till the end of game and also kept himself cool and calm. Germany’s Superfizzy has total 37,841,339 in chip counts and was allotted seat#1 of the final table, the seat#2 goes to Bulgaria’s mladenova62(95,105,837), seat#3 was for prophetdream of south Korea(28,756,039), Canadian a.urli was allotted seat#4 with total 177,403,220 chip counts. UK’s ThreeBetting was at seat#5 with total 52,587,466 chips, seat#6 goes to Russian AttiIa88(57,563,515), whereas the seat#7,#8 and #9 belongs to players named as TottiLitti of Finland(40,403,866), canario508 of Argentina (36,516,940) and Torsvik of Norway 24,411,778. After playing fourteen hours, the first elimination took place and it was of Torsvik of Norway, who collected $95,522 and finished at ninth position. He was playing against AttiIa88(5♦5♠), whereas Torsvik had A♦K♦. TottiLitti collected $129,071 and was at eighth position, AttiIa88 was at seventh position for $174,402. 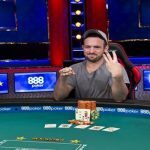 German Superfizzy hit the rail for sixth place for $235,653 and UK’s ThreeBetting got $318,415 and was at fifth position. Fourth and third places belongs to canario5089$560,000) and prophetdream($678.517). 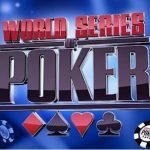 mladenova62 had 4♦4♠, a.Urli had T♠8♠ and won the title for $970,000. Board was 8♦5♥Q♥.